Shania Twain was born Eilleen Regina Edwards on August 28, 1965 in Ontario. Shania is an Ojibway name (Shania's stepfather was an Ojibway Indian) translated as "I'm on my way." At an early age, Shania was on was to be a music star as she was encouraged by her parents to sing and she began to write and play her music, "The many different styles of music I was exposed to as a child not only influenced my vocal style, but, even more so, my writing style." When Shania was 21, she was confronted with the duty of raising her siblings when their parents were killed in an auto accident in 1987: "My personal life changed drastically. When my parents died, my brothers and younger sister were still living at home. My brothers were only 13 and 14 years old and I became sister-mom. I had responsibilities, so I couldn't just go around getting gigs here and there, or writing only when I felt like it. I took a job singing at a resort, I bought a house, a family truck and settled down... I thought, forever." Shania was able to combine her musical talents with the need for money at a resort where she sang some country music and mostly show tunes under the name Eilleen Twain. By the mid-90s, Shania had become a best-selling country artist, and had crossed-over to the pop world in a huge way. Shania also prides herself as a songwriter: "Songwriting is my favorite part of what I do. I like to give every song its own personality and attitude and to sing each one in its own style." Shania began the new decade by changing her name from Eileen to Shania, and headed to Nashville to work on her music. Shania's debut LP, Shania Twain, was released. Shania married Robert John "Mutt" Lange, a notable producer in the states who became instrumental in broadening Shania's appeal. Shania won a Country Music Television Europe Award for Rising Video Star of the Year. Shania's next country hit, "Whose Bed Have Your Boots Been Under?" became her 1st Top 40 country hit. The Woman In Me, was released with the hit country tracks, "No One Needs To Know," "The Woman In Me," "(If You're Not In It For Love) I'm Outta Here!," "Whose Bed Have Your Boots Been Under," and "Any Man Of Mine." The LP went on to sell over 11 million copies in the U.S. and Shania hit the top of the country charts 4 consecutive times. The Woman In Me was certified gold. The Woman In Me was certified platinum. The Woman In Me also crossed-over to the pop LP Top 10. Shania won 4 Canadian Music Association Awards for Album of the Year (The Woman In Me), Female Vocalist, Single of the Year, and Video of the Year ("Any Man Of Mine"). Shania topped the Billboard Country Singles chart for 2 weeks and the Country Singles Sales chart for 10 weeks with "Any Man Of Mine." The Woman In Me topped the Billboard Country Albums chart for 29 weeks. The Woman In Me was certified 2x platinum. The Woman In Me was certified 3x platinum. The Woman In Me was certified 4x platinum. Shania topped the Billboard Year-End Chart-Toppers as the Top Country Album Artist - Female. The Woman In Me was the 10th biggest selling LP of the year with sales topping 2.8 million during 1995. Shania won 2 American Music Awards for Favorite Country Female Artist and Favorite Country New Artist and was nominated for Favorite Country Album (The Woman In Me). Shania topped the Billboard Hot Country Singles Sales chart with "(If You're Not In It For Love) I'm Outta Here!/The Woman In Me"
Shania won a Grammy Award for Best Country Album (The Woman In Me) and was nominated for Best New Artist, Best Country Song and Best Country Vocal Performance - Female ("Any Man Of Mine"). The Woman In Me was certified 5x platinum. Shania topped the Billboard Hot Country Singles & Tracks chart for 2 weeks with "(If You're Not In It For Love) I'm Outta Here!" The Woman In Me was certified 6x platinum. Shania was honored with the Top Female Country Artist award at the World Music Awards. The Woman In Me was certified 7x platinum. Shania topped the Billboard Hot Country Singles & Tracks chart for 2 weeks with "You Win My Love." Shania topped the Billboard Hot Country Singles & Tracks chart for a week with "No One Needs To Know." The Woman In Me was certified 8x platinum. Shania Twain was certified gold. Additional awards throughout the year included 2 Academy of Country Music Awards for Top New Female Vocalist and Album of the Year (The Woman In Me), 2 Billboard Music Awards for Top Country Album Artist and Top Music Video, a Blockbuster Entertainment Award for Favorite New Country Artist, and 2 Juno Awards for Country Female Vocalist of the Year and Entertainer of the Year. Shania won an American Music Award for Favorite Country Female Artist and was nominated for Favorite Country Album (The Woman In Me). Shania topped the Billboard Country Singles Sales chart for a week with "God Bless The Child." The Woman In Me was certified 9x platinum. Shania won a Juno Award for Best Country Female Vocalist and International Achievement Award. Shania topped the Billboard Country Singles chart for 5 weeks with "Love Gets Me Every Time." The Woman In Me was certified 10x platinum. Shania released Come On Over. All of the songs on the LP were written by Shania and her husband and the LP debuted at #2 on the pop LP charts and #1 on the country charts where it eventually spent 50 weeks at #1. Come On Over was certified 2x platinum and The Woman In Me was certified 11x platinum. Shania hit the Top 10 with "From This Moment." Shania was nominated for an American Music Award for Favorite Female Country Artist. Shania inducted the Mamas & Papas into the Rock & Roll Hall of Fame. Come On Over was certified 3x platinum. Shania hit the Top 40 with "Don't Be Stupid (You Know I Love You)." Shania hit the Top 40 with "You're Still The One." Shania performed as part of VH1's first Divas Live. As Shania was hitting the country charts, her crossover appeal began with the moderate pop hit, "Don't Be Stupid (You Know I Love You)." But it was the next single "You're Still The One" that introduced a larger pop audience to Shania as the single hit the Top 3 on the pop charts and showed its longevity for staying on the radio throughout the year. The video for the single also got play on more mainstream video channels, including MTV. Shania's next pop success "From This Moment" continued her pop success into the new year. Shania hit the Top 10 with "You're Still The One." Shania topped the Billboard Country Singles chart with "You're Still The One" for a week. Shania topped the Billboard Country Singles Sales chart with "You're Still The One" for 22 weeks. Come On Over was certified 4x platinum. Shania topped the Billboard Adult Contemporary chart with "You're Still The One" for 8 weeks. Shania achieved a distinction not many country artists have ever attained - the cover of Rolling Stone magazine. Come On Over was certified 5x platinum. Shania hit the Top 40 with "From This Moment On." Shania was nominated for a MTV Video Music Award for Best Female Video ("You're Still The One"). Shania topped the Billboard Country Singles chart with "Honey, I'm Home" for a week. Come On Over was certified 6x platinum. Shania came out in support of Amnesty International at a concert held in France which also included Bruce Springsteen, Tracy Chapman, Alanis Morissette, Radiohead, Peter Gabriel, Robert Plant, Jimmy Page, and Youssou N'dour. The concert was held to mark the 50th anniversary of the United Nation's Universal Declaration of Human Rights. Shania's LP, Come On Over, was the 4th biggest-selling LP of 1998 with 4.8 million copies sold in the U.S.
Shania topped the Billboard Adult Contemporary chart with "From This Moment On" for a week. Shania topped the Billboard Year-End Charts as the Top Pop Artist - Female (singles & albums), Top Hot 100 Singles Artist - Female, Top Country Album Artist - Female, Top Hot Country Singles & Tracks Artist - Female, and with the Top Country Singles Sales ("You're Still The One"). Over the year Shania won 5 Canadian Country Music Awards, and was named one of "1998's Top 12" by Entertainment Weekly. By the end of the year, Come On Over was certified 7x platinum. Come On Over was certified 8x platinum. Shania won an American Music Award for Favorite Female Artist and was nominated for Favorite Adult Contemporary Artist, Favorite Country Album, Favorite Album, and Favorite Female Country Artist. Shania became the first country artist in Grammy Award history to be nominated in the 3 top categories: Record, Song, and Album of the Year. Shania took home 2 Grammy Awards for Best Country Song (with Robert John "Mutt" Lange) and Best Country Vocal Performance - Female (both for "You're Still The One") and was also nominated for Album of the Year and Best Country Album (Come On Over), Record of the Year and Song of the Year (with Robert John "Mutt" Lange) ("You're Still The One"). Shania was named "Fun Fearless Female of the Year" by Cosmopolitan. Shania's first TV special, Shania Twain's Winter Break, aired. Come On Over was certified 9x platinum. Shania won 2 BMI Awards for Pop Songwriter of the Year and Song of the Year ("You're Still The One"). Shania won a Juno Award for Best Country Female Vocalist. Shania could be heard on the compilation, Elton John And Tim Rice's Aida, with "Amneris' Letter." Shania hit the Top 40 with "That Don't Impress Me Much." Come On Over was certified 10x platinum and Shania Twain was certified platinum. Shania hit the Top 10 with "That Don't Impress Me Much." Shania took home 2 Blockbuster Awards for Favorite Female Artist - Country and Favorite Single for "You're Still The One." Come On Over was certified 11x platinum. Come On Over was certified 12x platinum. Shania was nominated for a Country Music Association Award for Best Entertainer and Best Female Vocalist. Come On Over was certified 13x platinum. Shania hit the Top 40 with "You've Got A Way." Shania won 4 Canadian Country Music Awards including the CMT Maple Leaf Foods Fans' Choice Award, Female Artist of the Year, Vocal/Instrumental Collaboration of the Year ("From This Moment On"), and Video of the Year ("That Don't Impress Me Much"). Shania won a MuchMoreMusic Artist Award at the MuchMusic Video Awards. Shania was named Entertainer of the Year at the Country Music Association Awards. Shania hit the Top 40 with "Man! I Feel Like A Woman." Come On Over topped the UK Album charts for 11 weeks. Shania won a WB Radio Music Award for Artist of the Year (Country). Shania hit the Top 10 with "Man! I Feel Like A Woman." Come On Over was certified 14x platinum. Come On Over was certified 16x platinum. Shania topped the Billboard Year-End Chart-Toppers as the Top Country Album Artist - Female, Top Hot Adult Contemporary Artist, and with the Top Country Album (Come On Over). Shania hit the Top 40 with "Come On Over." Shania won 2 American Music Awards for Favorite Female Artist and Favorite Female Country Artist and was nominated for Favorite Adult Contemporary Artist. Shania won 2 Grammy Awards for Best Country Vocal Performance - Female ("Man! I Feel Like A Woman!") and Best Country Song (for "Come On Over" with Robert John "Mutt" Lange") and was nominated for Song of the Year ("You've Got A Way" with Robert John "Mutt" Lange). Shania was nominated for 2 Juno Awards for Best Country Female Artist and Best Songwriter ("Man! I Feel Like A Woman!," "That Don't Impress Me Much," and "You've Got A Way"). Shania was nominated for some Academy of Country Music Awards for Entertainer of the Year and Top Female Vocalist. Shania won Juno Awards for Best Country Female and Best Songwriter. Come On Over was certified 17x platinum making it the biggest-selling LP by a female artist in history (the LP has sold over 26 million copies worldwide). Shania made this year's listing of People's "50 Most Beautiful People." Shania was named Entertainer of the Year at the Academy of Country Music Awards. Shania was awarded Favorite Female Artist, Country at the Blockbuster Awards. Shania won the Pop Songwriter of the Year award at the BMI Pop Awards. Shania was nominated for 6 Canadian Country Music Awards for Female Artist of the Year, Chevy Fans' Choice Award, Top Selling Album, and SOCAN Song of the Year, Video of the Year, and Single of the Year ("Rock This Country"). Shania won a MuchMusic Video Award with the MuchMoreMusic Award ("Man! I Feel Like A Woman"). Divas Live was certified gold. Come On Over was certified 18x platinum and The Woman In Me was certified 12x platinum. VH1: 100 Greatest Videos includes: # 77 - "That Don't Impress Me Much." Shania gave birth to a boy boy - her first child. Come On Over was certified 19x platinum. Shania ranked # 15 on VH1: 100 Sexiest Artists. Shania released her next LP, Up! Shania hit the Top 40 with "I'm Gonna Getcha Good!" Shania topped the Canadian LP charts with Up! Shania's new LP, Up!, sold over 874,000 copies in the US its first week (the 2nd highest 1st week total of the year) and topped the Billboard 200 LP chart (for 5 weeks), the Top Country Albums chart for 6 weeks, and the Top Internet Album Sales chart. Up!, sold another 625,000 copies in the US the following week. Up! ended the year as the 9th biggest selling LP of the year with over 2.9 million copies sold in the US. Shania performed at the American Music Awards. Shania performed at the half-time show of Super Bowl XXXVII. Shania appeared on the cover of Rolling Stone again. Shania hosted the Juno Awards and ended up taking home 3 of her own for Artist of the Year, Country Record of the Year ("I'm Gonna Getcha Good! "), and the Juno Fan Choice Award. Shania performed on VH1's Divas Duets 2003. VH1: 100 Best Songs of the Past 25 Years includes "You're Still The One" at # 47. Shania won the MuchMoreMusic Award at the MuchMusic Awards ("Up!"). Shania performed at the Prince's Trust concert which raised money for disadvantaged children. Shania performed on the Today Show Summer Concert Series. Shania could be seen on TV with the special Shania Twain Up! Live In Chicago. Shania hit the Top 40 with "Forever And For Always." 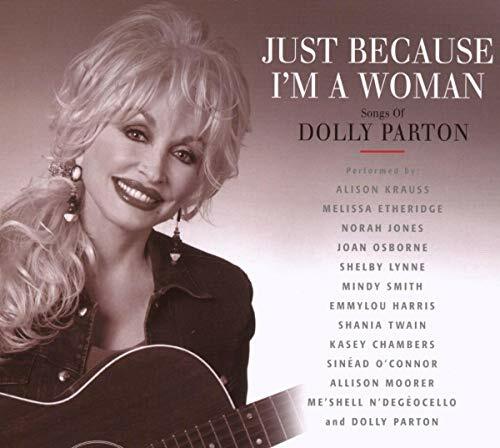 Shania could be heard on the compilation tribute to Dolly Parton LP, Just Because I'm A Woman, with "Coat Of Many Colors." Shania topped the Billboard Adult Contemporary chart for 6 weeks with "Forever And For Always." Shania was nominated for 3 American Music Awards for Favorite Country Female Artist, Favorite Country Album, and the Michael Jackson International Artist of the Year Award. Shania had another TV special on NBC - Up Close & Personal. Up! was certified 10x platinum (the LP was considered as a double-LP). Shania topped the Billboard Year-End Charts as the Top Country Artist (singles & albums), Top Country Artist - Female (singles & albums), Top Country Album Artist, Top Country Album Artist - Female, Top Hot Country Singles & Tracks Artist - Female, and with the Top Country Album (Up!). Shania was nominated for 3 Grammy Awards including Best Country Vocal Performance - Female ("Forever And For Always"), Best Country Album (Up! ), Best Country Song (songwriter) ("Forever And For Always" with Robert John "Mutt" Lange). Shania won a Juno Award for Country Recording of the Year (Up!). Up! was certified 11x platinum. Shania released her Greatest Hits. Shania topped the Billboard Top Internet Albums chart and Top Country Albums chart for 11 weeks with Greatest Hits. The LP also topped the Canadian LP chart. Come On Over was certified 20x platinum. # 130 on the Top Pop Artists of the Past 25 Years chart. Shania won a People's Choice Award for Favorite Country Female Singer. Shania was nominated for 2 Grammy Awards for Best Female Country Vocal Performance ("She's Not Just A Pretty Face") and Best Country Collaboration with Vocals ("Coat Of Many Colors" with Alison Krauss & Union Station). The single "Party For Two" was certified gold. Shania could be heard on the soundtrack for Desperate Housewives with "Shoes." Shania topped the Billboard Year-End Charts as the Top Country Album Artist - Female and with the Top Country Album (Greatest Hits). The single "Forever And For Always" was certified gold. The single "Man! I Feel Like A Woman" was certified gold. VH1: 100 Greatest Songs of the 90's included "You're Still The One" at # 46. Entertainment Weekly: 100 Best Albums of the Last 25 Years included Come On Over at # 24. March 5: Shania could be heard on the Lionel Richie LP Tuskegee on the re-recorded duet of "Endless Love." March 3: The live CD/DVD set Shania: Still The One: Live From Las Vegas was released. September 30: Shania released NOW. October 12: Shania topped the UK LP chart with NOW. October 21: Shania topped the Billboard 200 LP chart, Albums Sales chart and Country Albums chart with NOW. Tracks: "What Made You Say That" - "You Lay A Whole Lot Of Love On Me" - "Dance With The One That Brought You" - "Still Under The Weather" - "God Ain't Gonna Getcha For That" - "Got A Hold On Me" - "There Goes The Neighborhood" - "Forget Me" - "When He Leaves You" - "Crime Of The Century"
Tracks: "Home Ain't Where His Heart Is (Anymore)" - "Any Man Of Mine" - "Whose Bed Have Your Boots Been Under?" - "(If You're Not In It For Love) I'm Outta Here" - "The Woman In Me (Needs The Man In You)" - "Is There Life After Love" - "If It Don't Take Two" - "You Win My Love" - "Raining On Our Love" - "Leaving Is The Only Way Out" - "No One Needs To Know" - "God Bless The Child"
Tracks: "Man! I Feel Like A Woman" - "I'm Holdin' On To Love (To Save My Life)" - "Love Gets Me Every Time" - "Don't Be Stupid (You Know I Love You)" - "From This Moment On" - "Come On Over" - "When" - "Whatever You Do! Don't!" - "If You Wanna Touch Her, Ask!" - "You're Still The One" - "Honey, I'm Home" - "That Don't Impress Me Much" - "Black Eyes, Blue Tears" - "I Won't Leave You Lonely" - "Rock This Country!" - "You've Got A Way"
Tracks: "Up!" - "I'm Gonna Getcha Good!" - "She's Not Just Another Pretty Face" - "Juanita" - "Forever And For Always" - "Ain't No Particular Way" - "It Only Hurts When I'm Breathing" - "Nah!" - "Wanna Get To Know You) That Good!" - C'est La Vie" - "I'm Jealous" - "Ka-Ching" - "Thank You Baby! (For Making Someday Come So Soon)" - "Waiter! Bring Me Water" - "What A Way To Wanna Be!" - "I Ain't Goin' Down" - "I'm Not in The Mood (To Say No!)" - "In My Car (I'll Be The Driver)" - "When You Kiss Me"
Tracks: "Forever And For Always" - "I'm Gonna Getcha Good" - "Up!" - "Come On Over" - "Man! I Feel Like A Woman" - "That Don't Impress Me Much" - "From This Moment On" - "Honey, I'm Home" - "You're Still The One" - "Don't Be Stupid" - "Love Gets Me Every Time" - "No One Needs To Know" - "You Win My Love" - "I'm Outta Here" - "The Woman In Me" - "Any Man Of Mine" - "Whose Bed Have Your Boots Been Under" - "Party For Two" (with Mark McGrath) - "Don't!" - "Party For Two" (with Billy Currington) - "I Ain't No Quitter"
Live Tracks: "I'm Gonna Getcha Good!" - "You Win My Love" - "Don't Be Stupid (You Know I Love You)" - "Up!" - "I Ain't No Quitter" - "No One Needs To Know" - "Whose Bed Have Your Boots Been Under?" - "Any Man Of Mine" - "That Don't Impress Me Much" - "Honey, I'm Home" - "(If You're Not In It For Love) I'm Outta Here!" - "Come On Over" - "Love Gets Me Every Time" - "Rock This Country!" - "Today Is Your Day" - "You're Still The One" - "From This Moment On" - "Red Storm" - "Man! I Feel Like A Woman"
Tracks: "Swingin' With My Eyes Closed" - "Home Now" - "Light Of My Life" - "Poor Me" - "Who's Gonna Be Your Girl" - "More Fun" - "I'm Alright" - "Roll Me On The River" - "We Got Something They Don't" - "You Can't Buy Love" - "Love's About To Get Good" - "Soldier"
6 I'm Gonna Getcha Good!